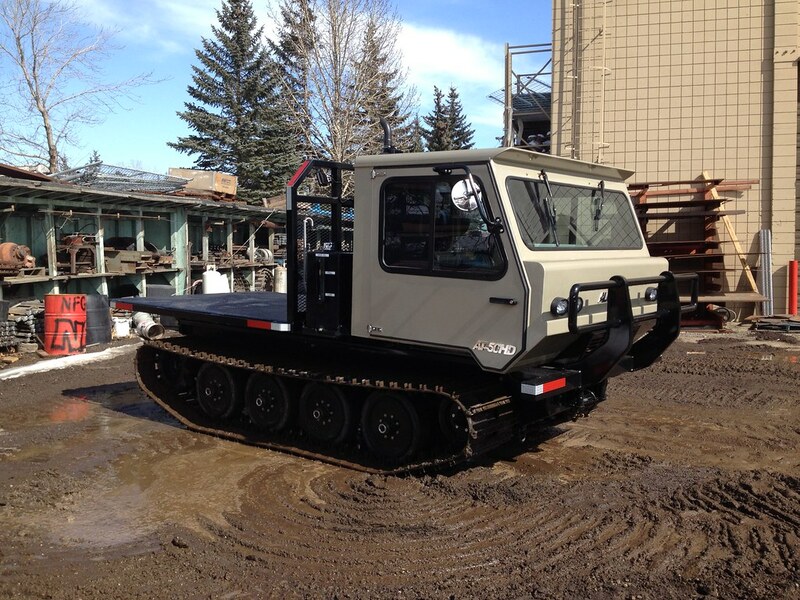 The Hydrostatic drive AT-50HD is a multi-function tracked vehicle suitable to perform many tasks in any kind of terrain condition. 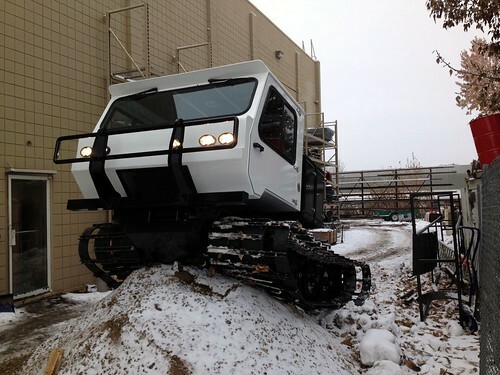 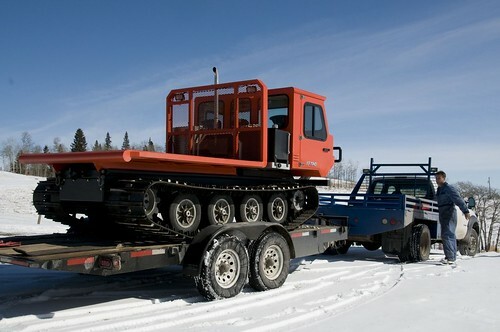 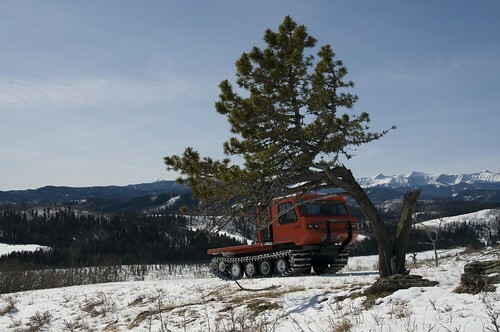 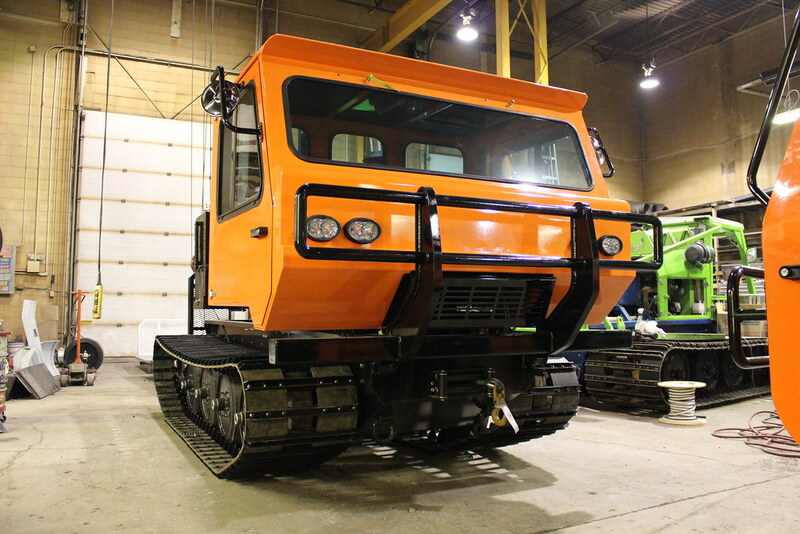 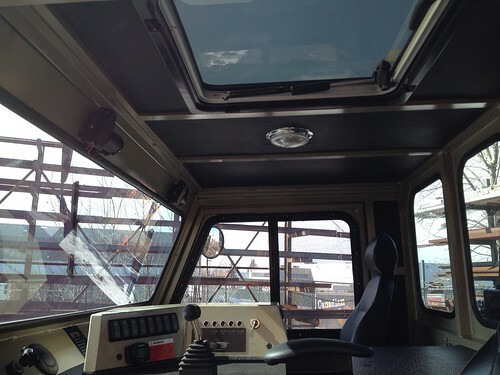 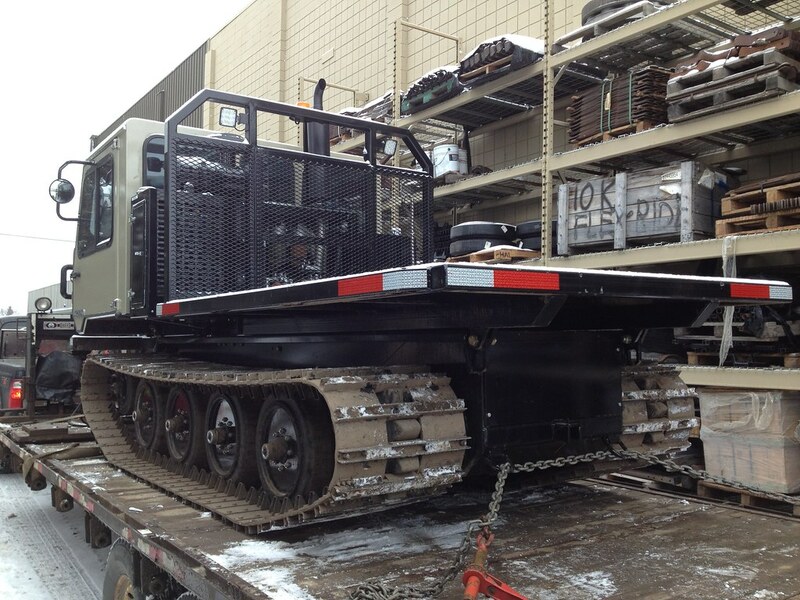 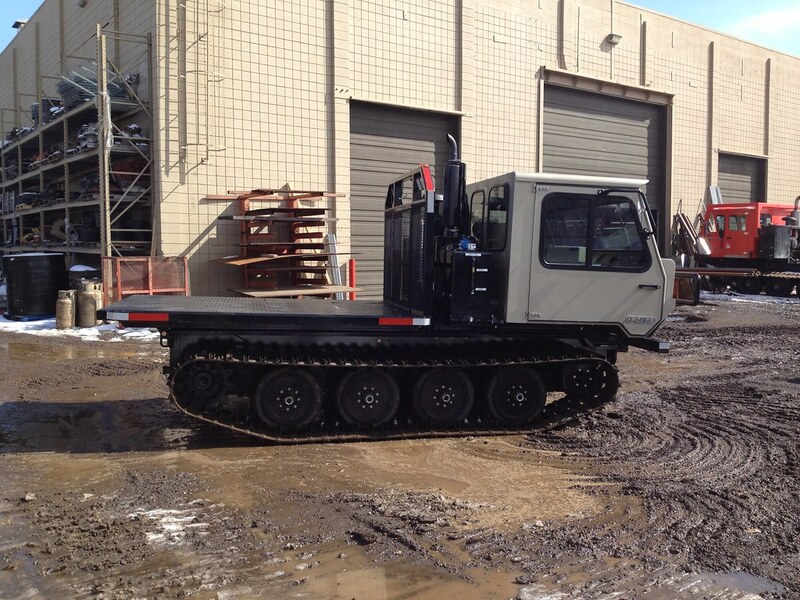 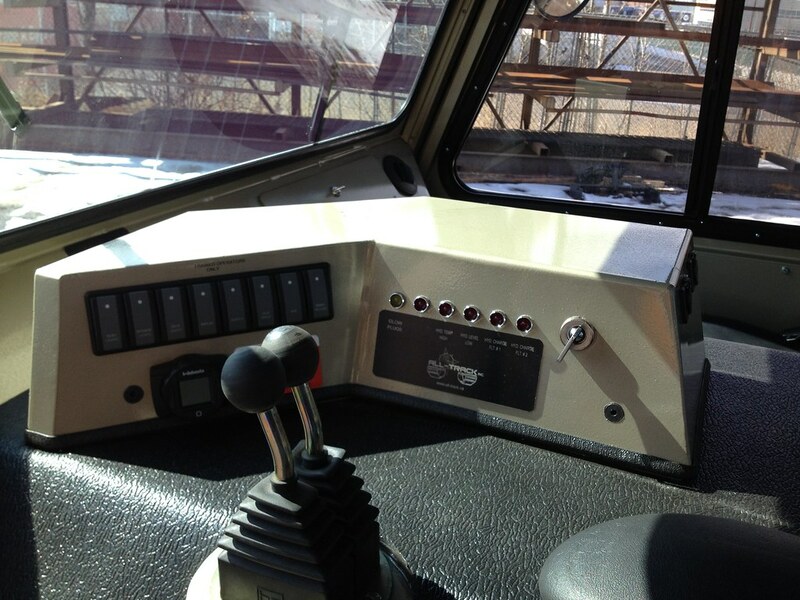 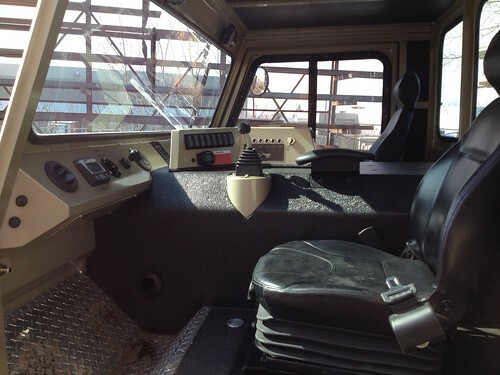 It is available with a single or two passenger cab and large deck space, or as a tracked personnel carrier. 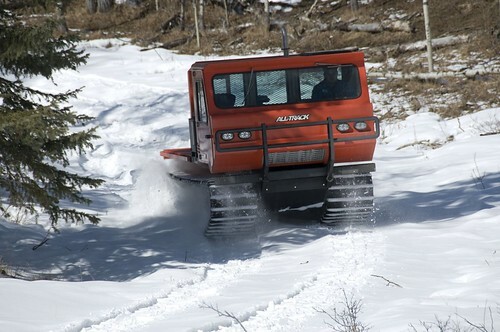 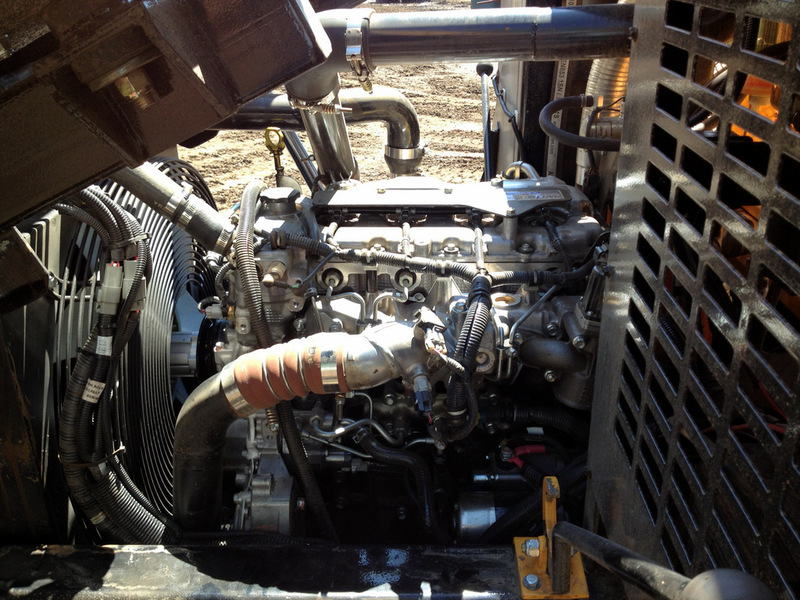 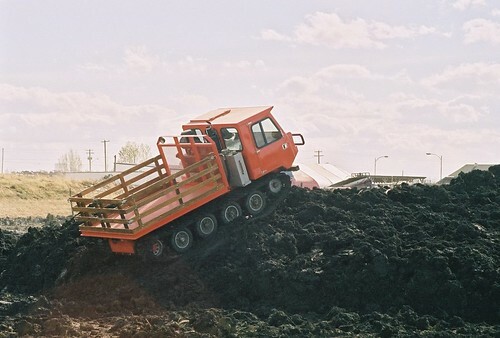 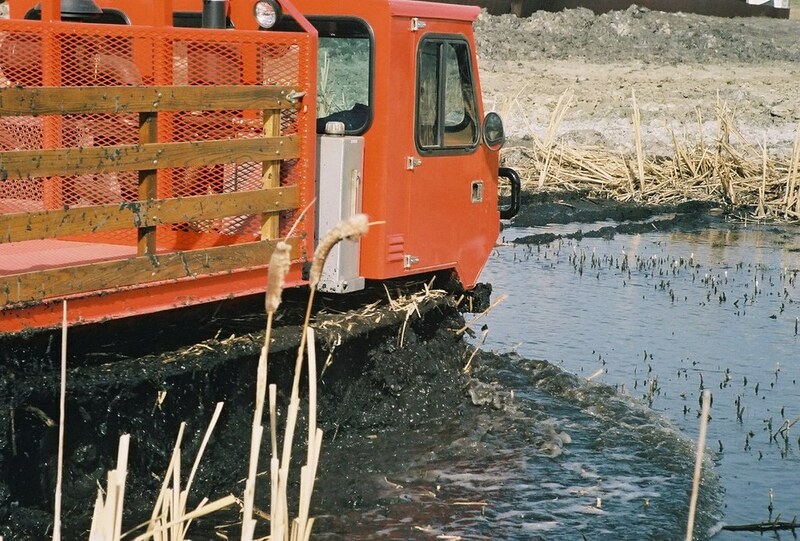 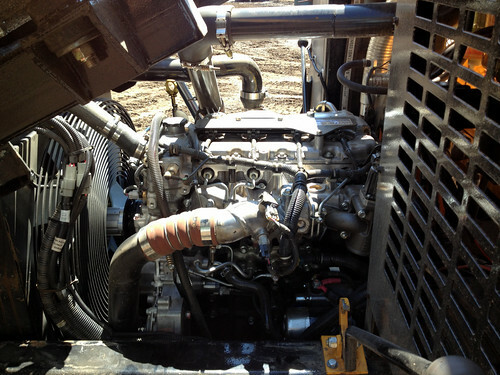 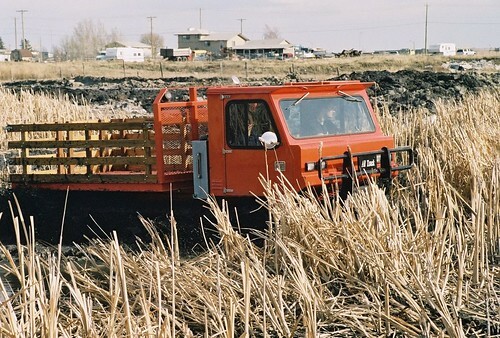 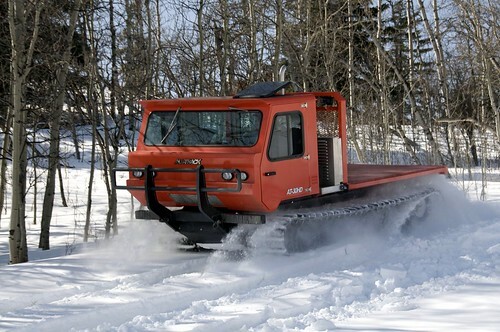 With a reliable hydrostatic transmission and powerful Isuzu 130hp Turbo Diesel, the AT-50HD tracked carrier will get you where you need to be, when you need to be there. 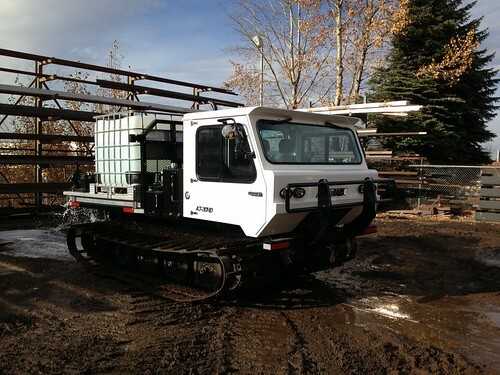 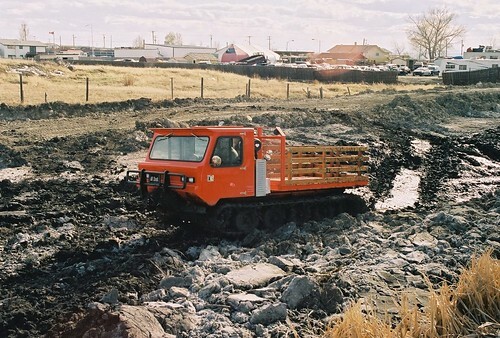 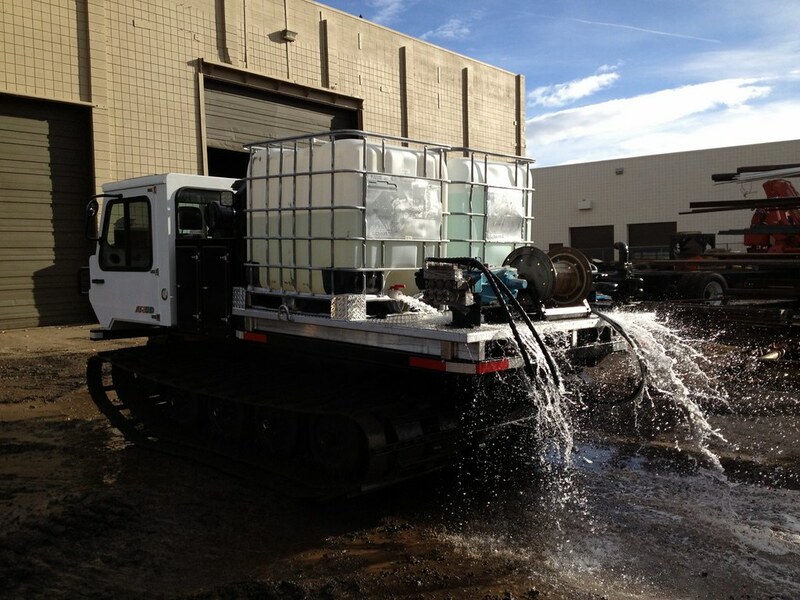 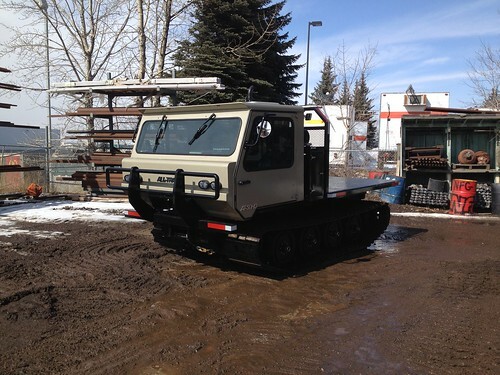 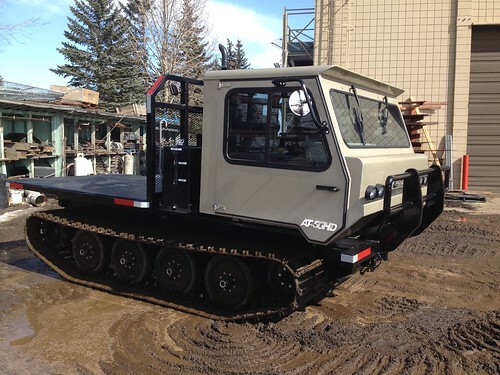 The AT-50HD track carrier is easily transported behind any one ton pickup making it the ideal rapid response unit for remote environmental, disaster, and emergency work. 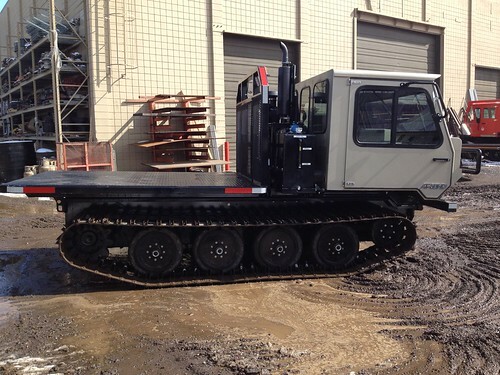 Its 7,000lb. 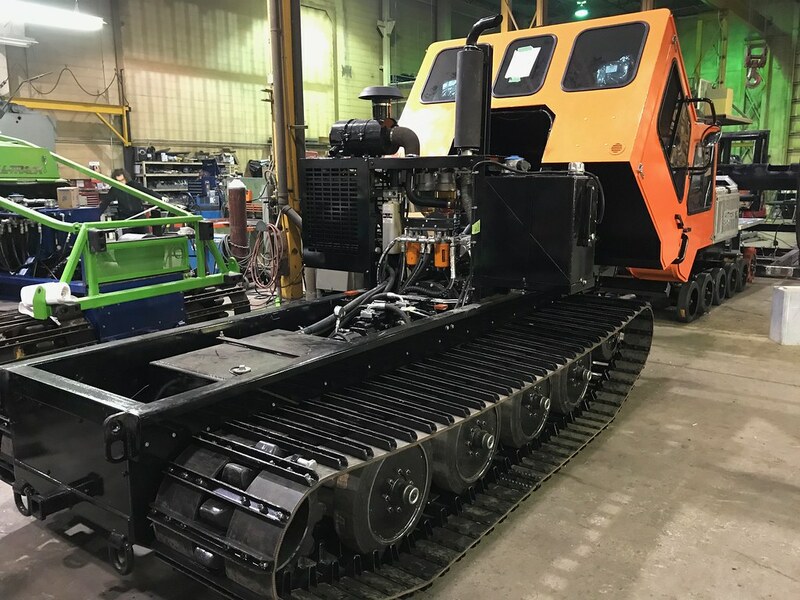 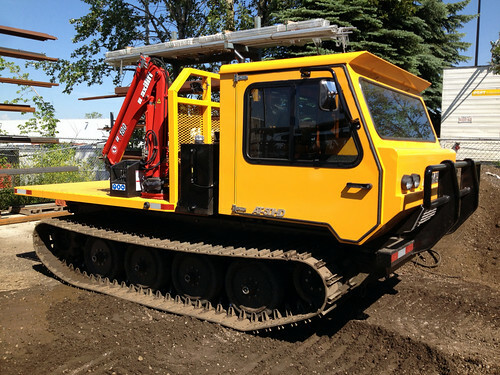 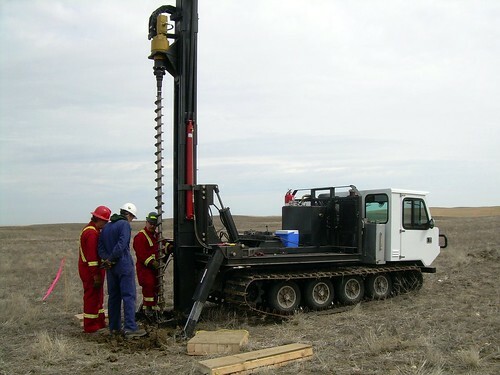 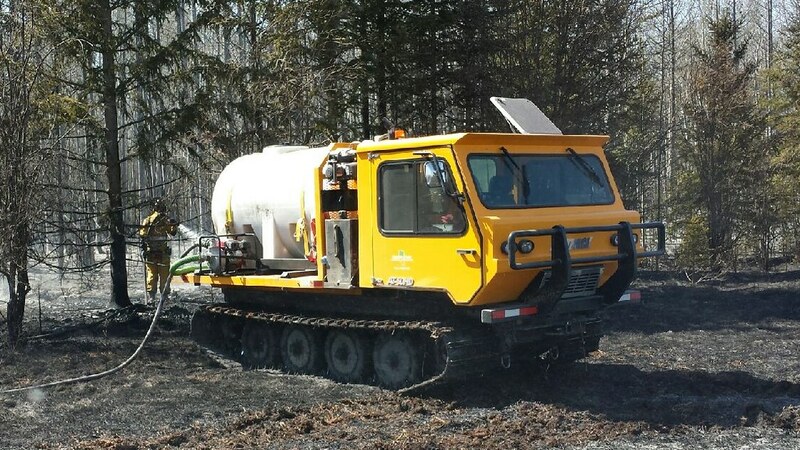 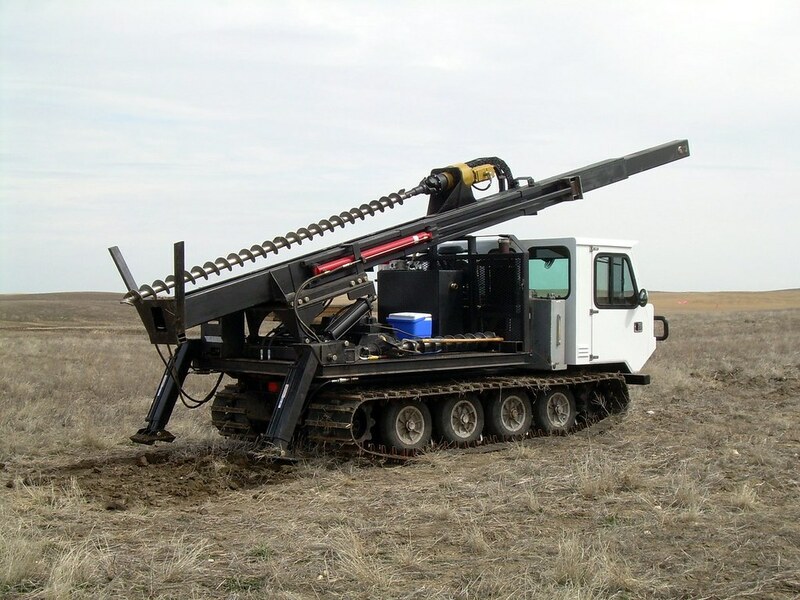 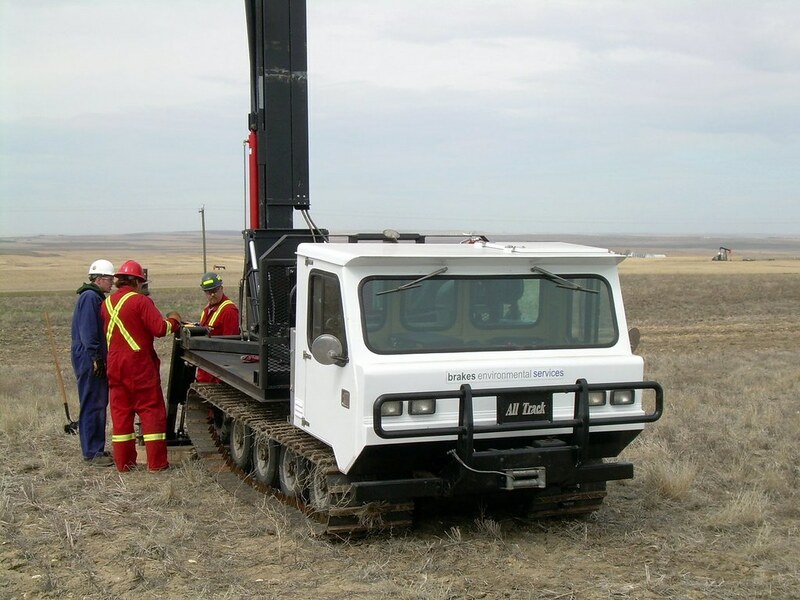 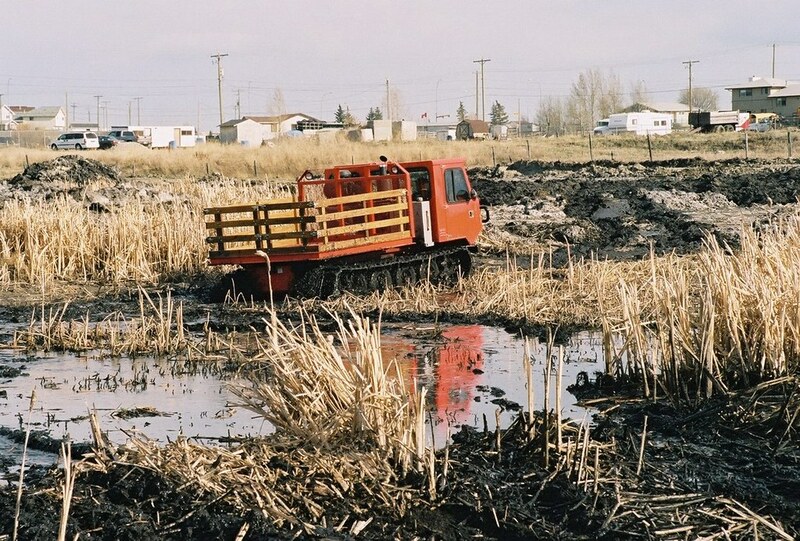 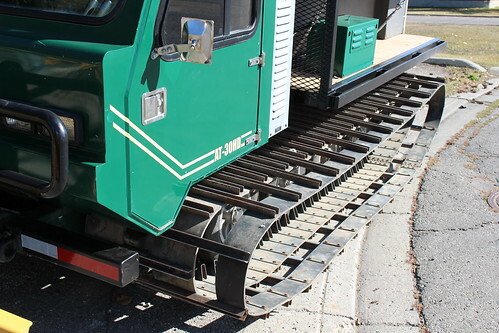 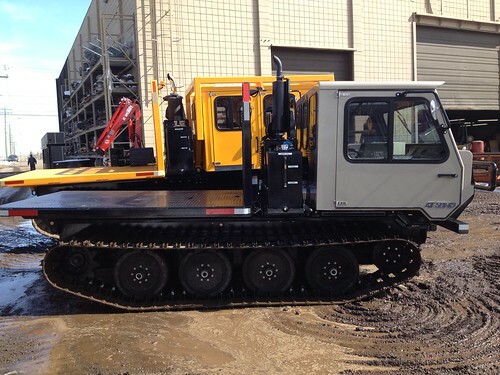 payload capacity also makes it ideal for pipeline maintenance work, forest fire fighting, drill support, and as a lightweight all-terrain drill carrier. Tracks: Heavy duty tracks with nylon reinforced rubber belts and steel cross links. 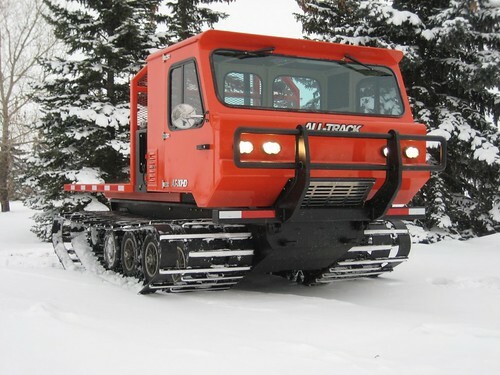 All-season low profile tracks in narrow and wide configuration, as well as an optional wide winter track. 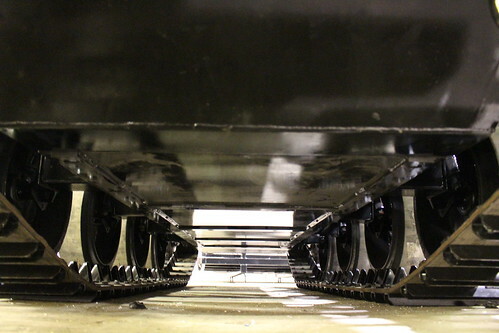 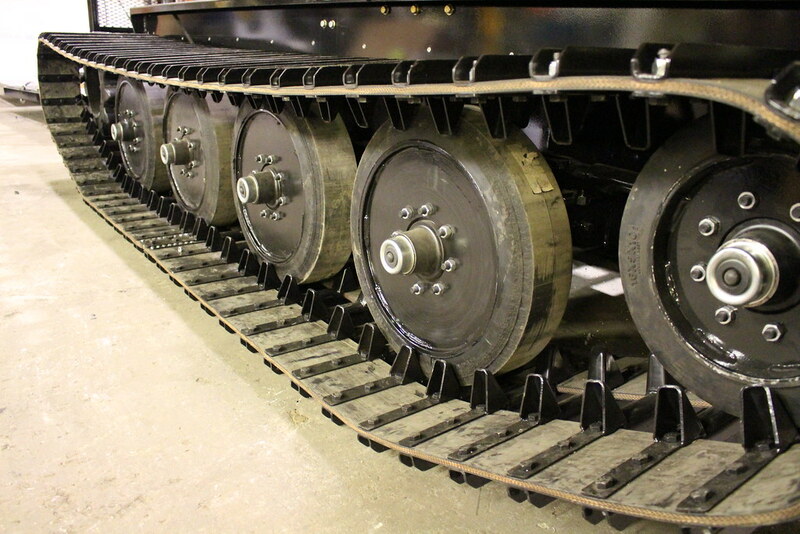 22" ruber cleat enviro track also available for operating on hard surfaces and roadways as well. 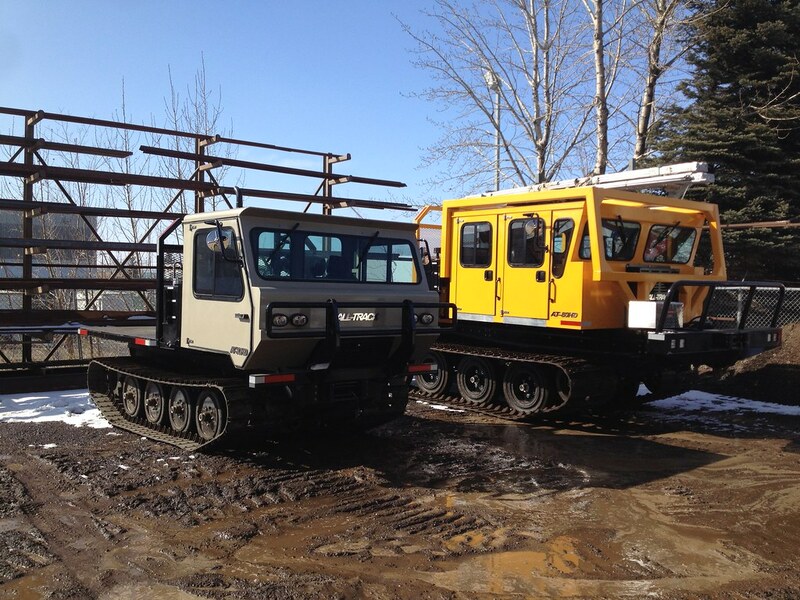 Additional Standard Features: Heavy duty bumper, work lights, tow sling, track repair kit, spare tire and pintle hitch. 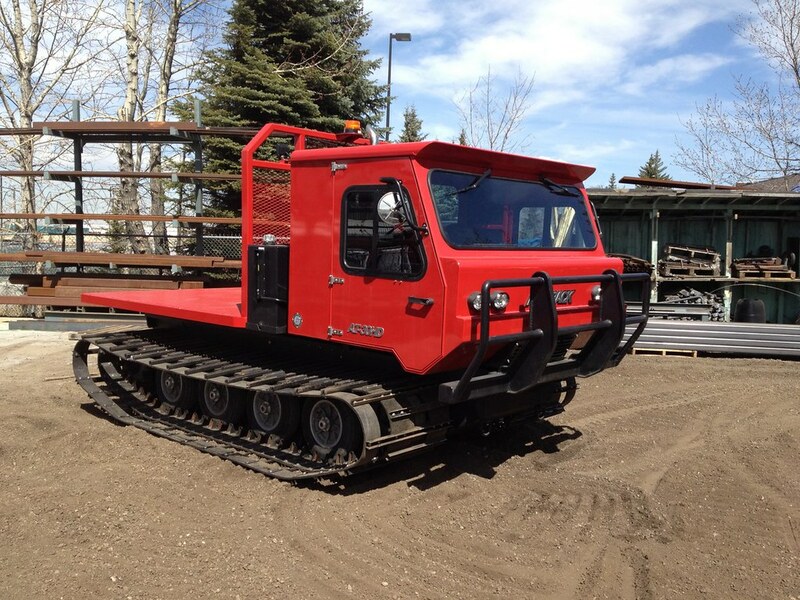 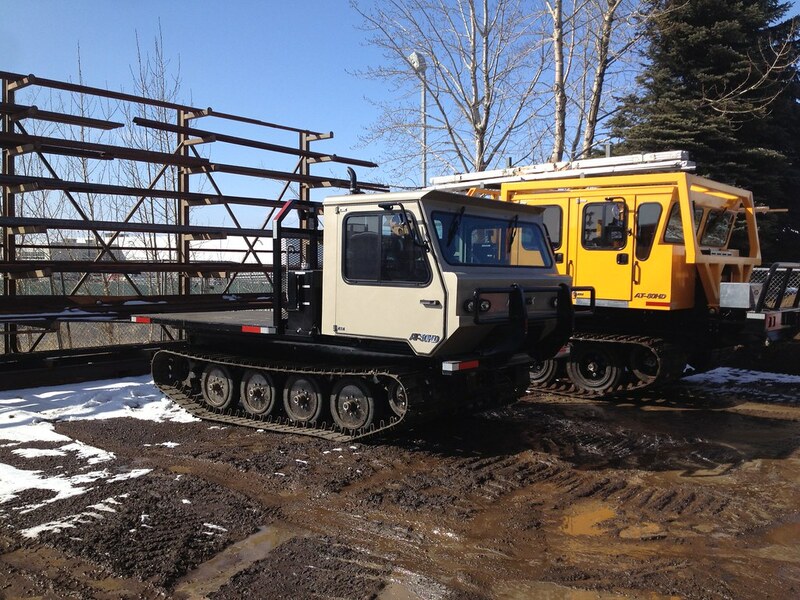 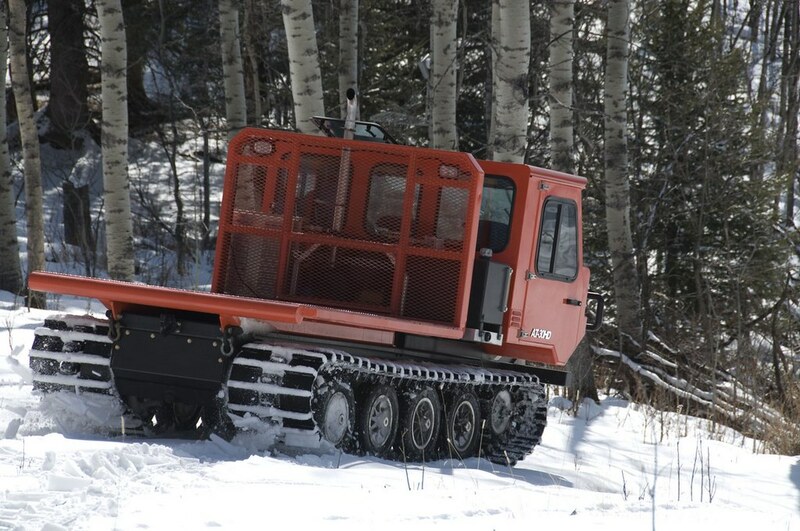 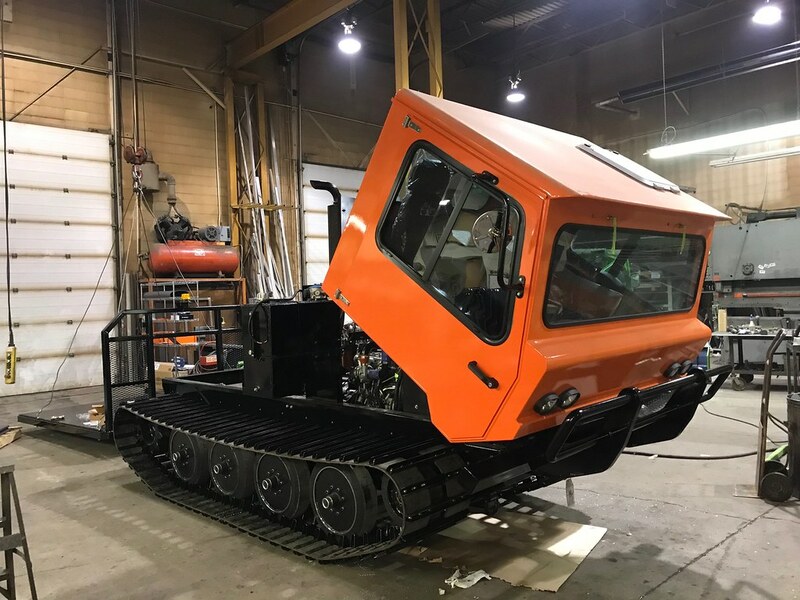 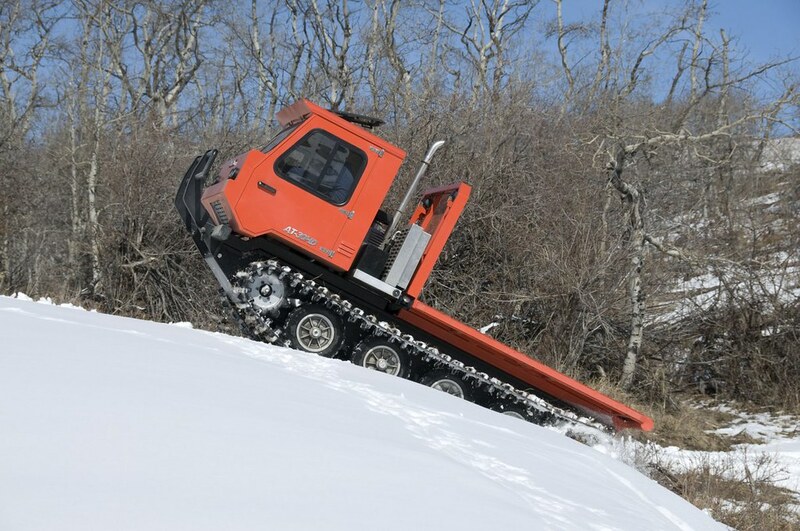 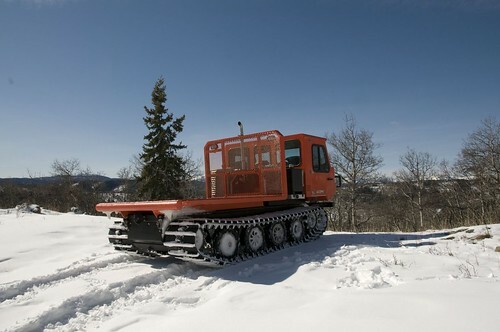 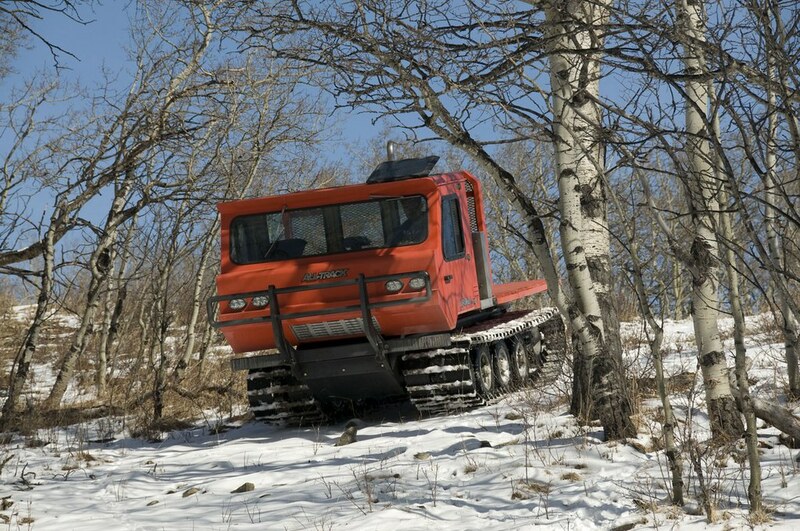 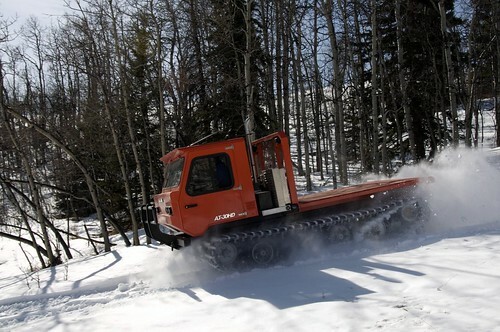 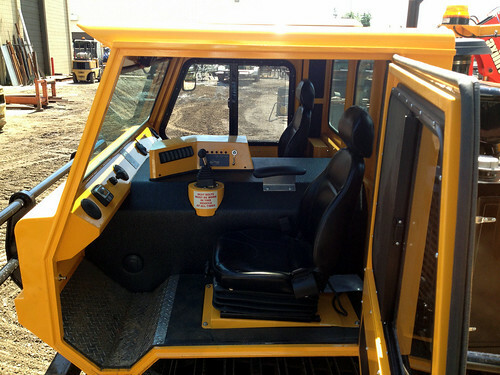 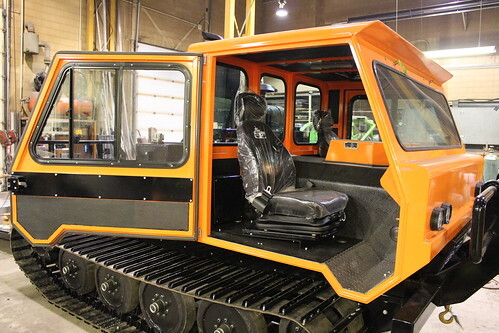 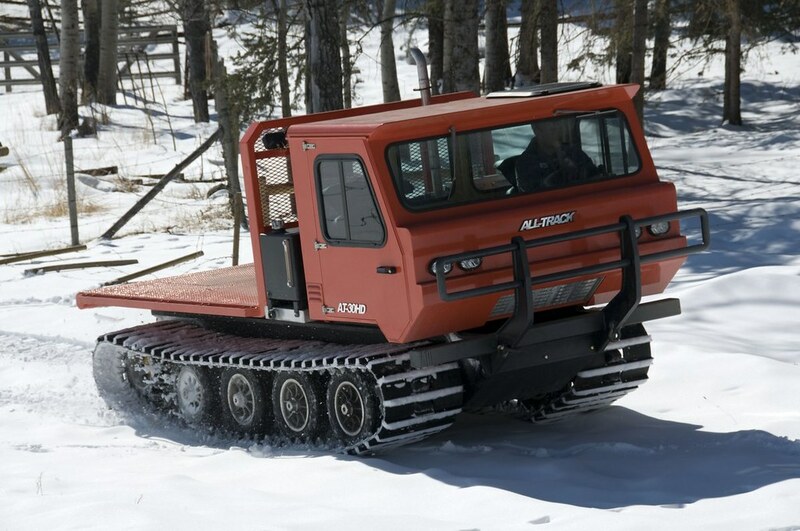 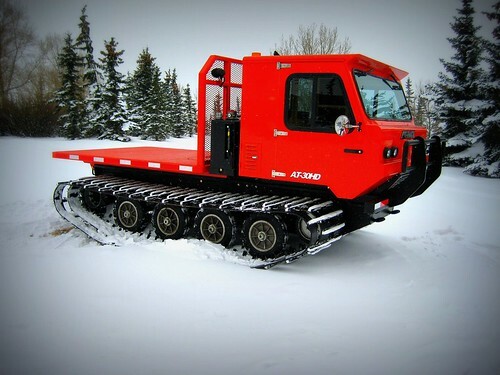 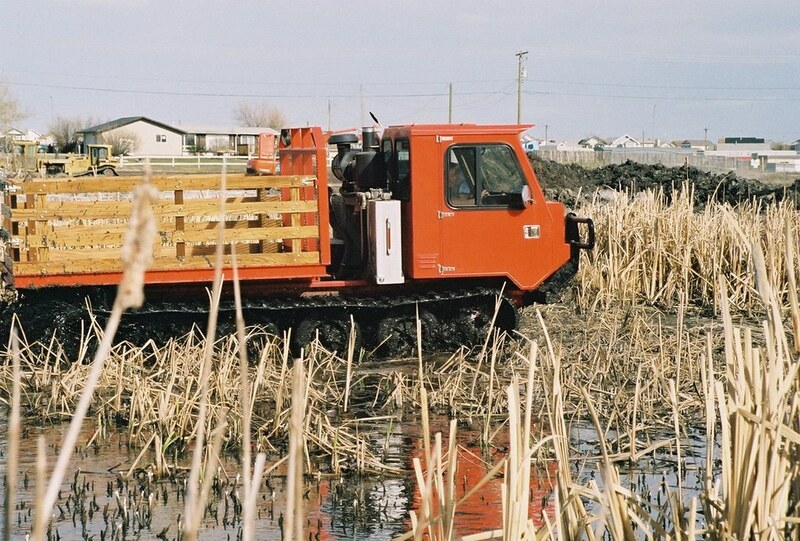 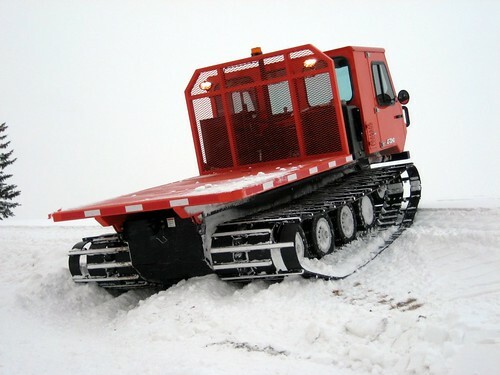 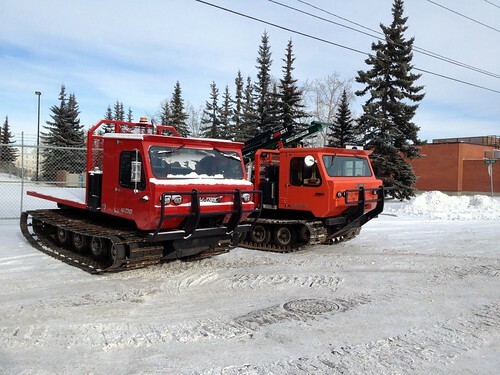 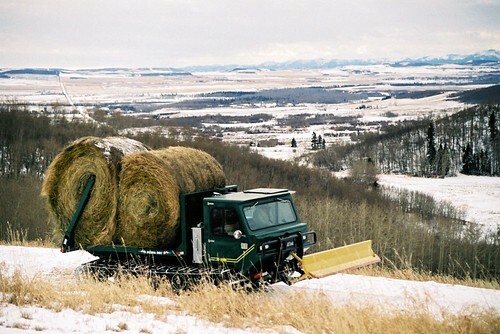 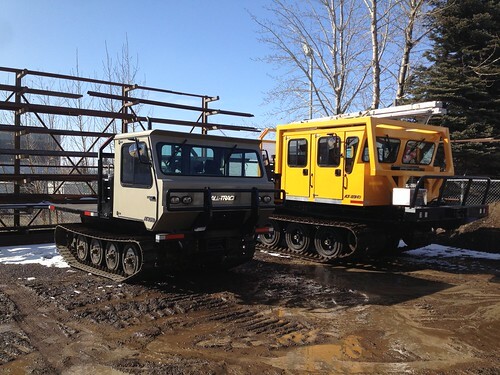 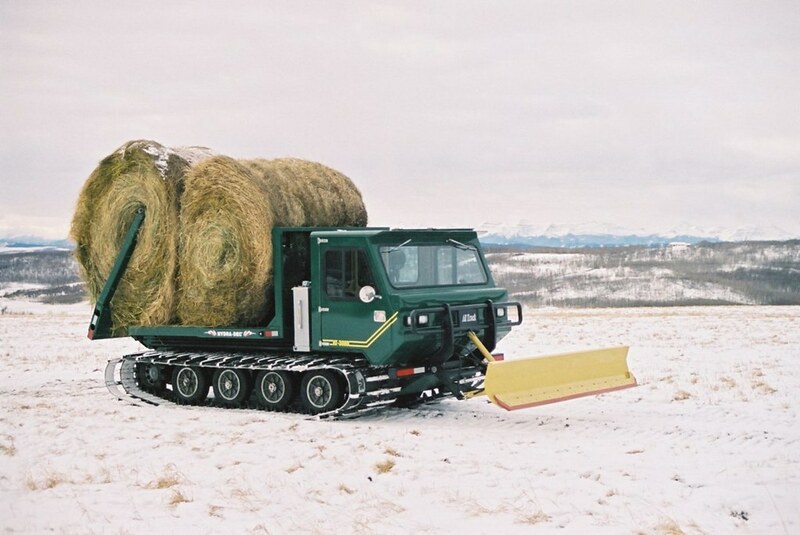 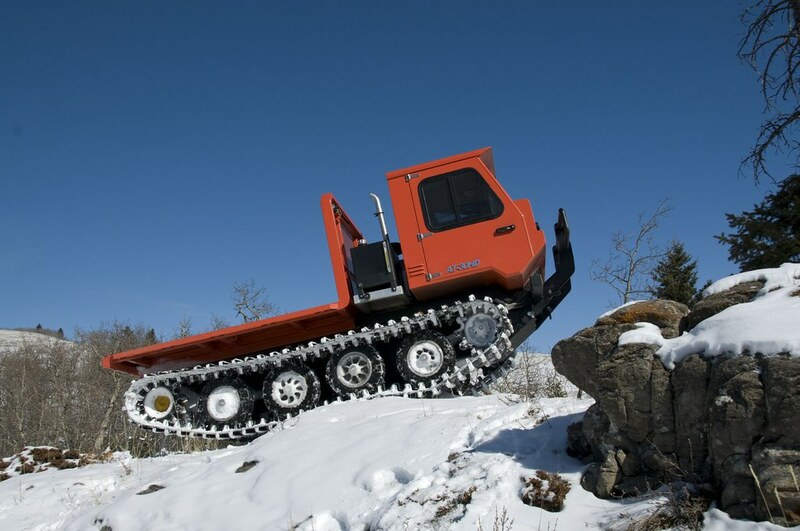 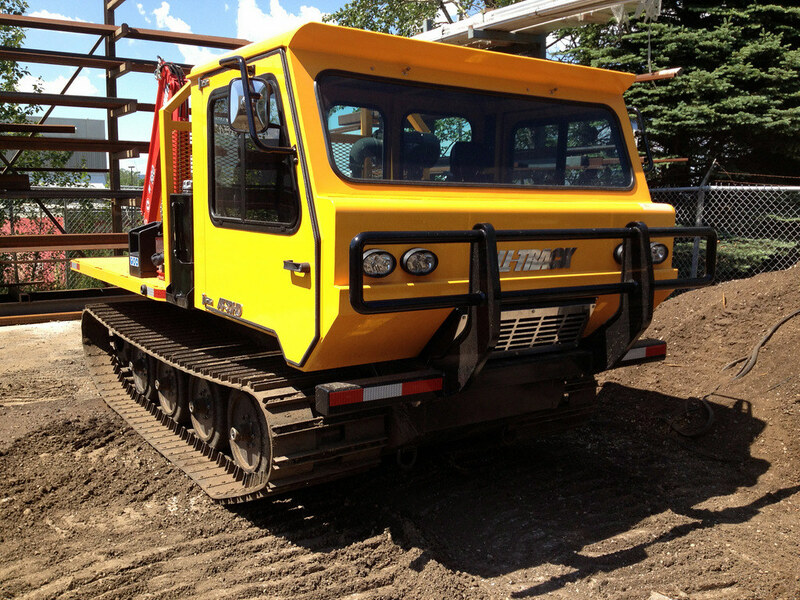 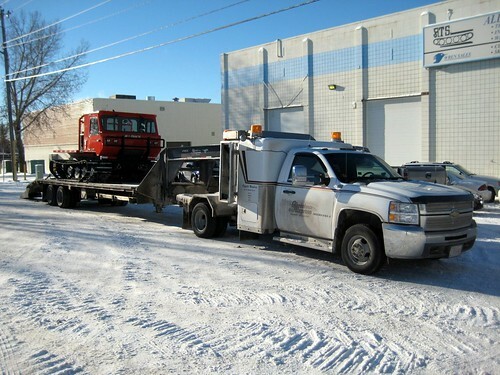 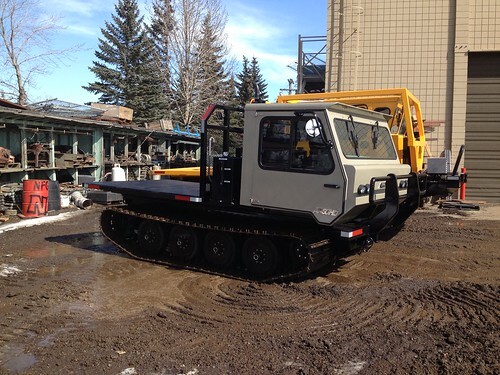 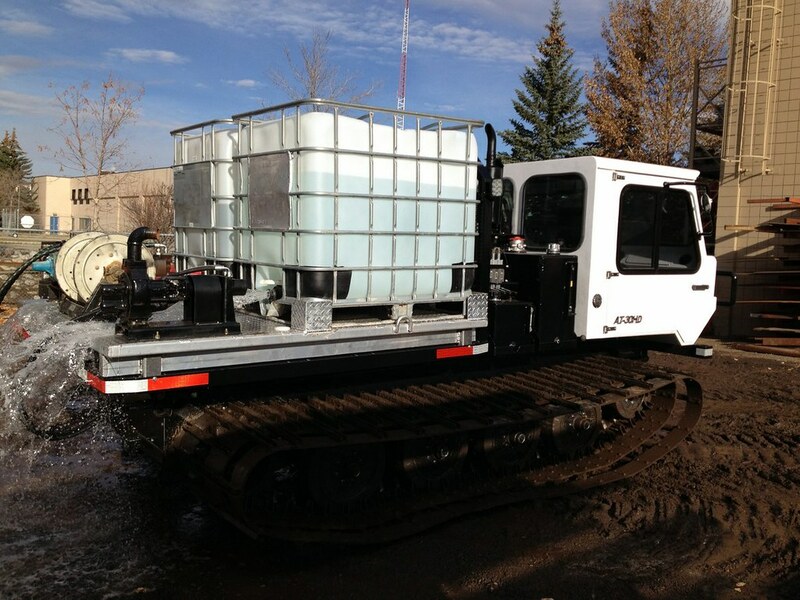 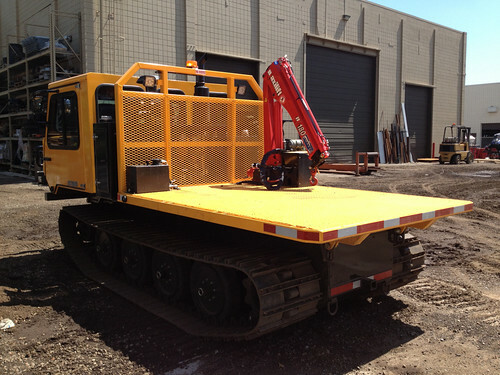 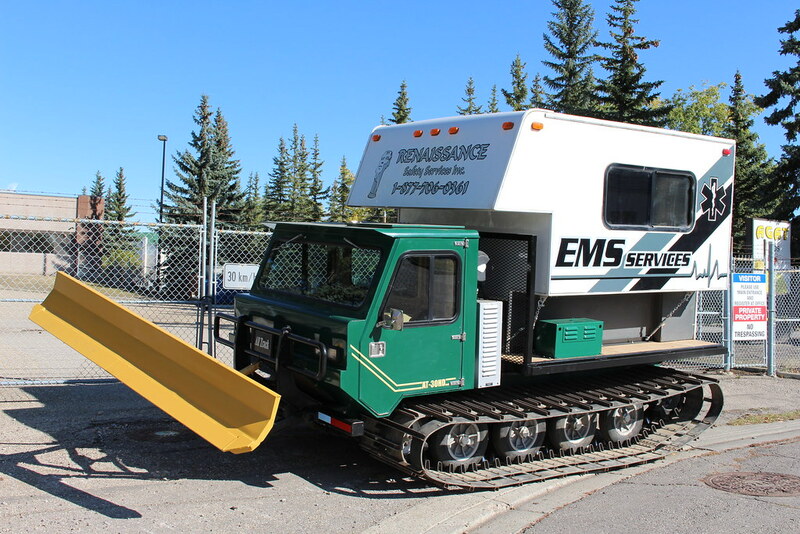 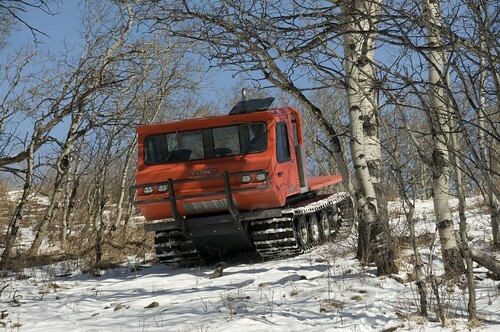 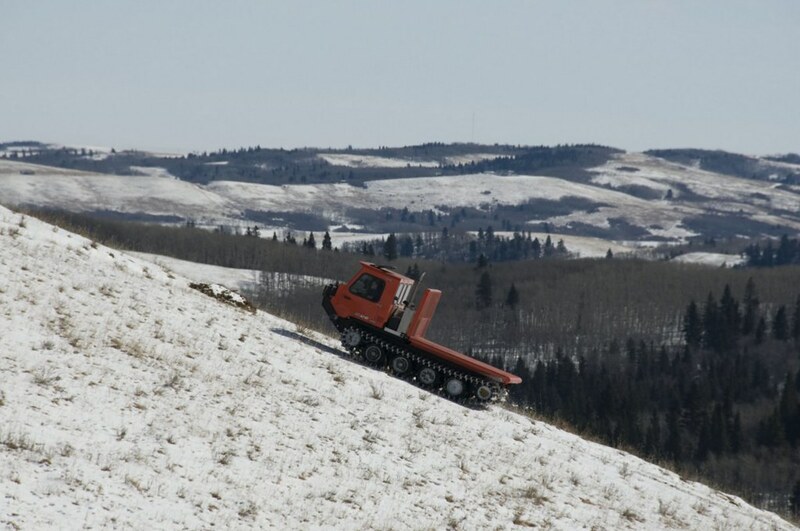 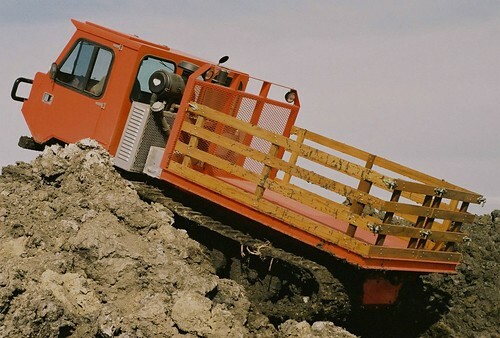 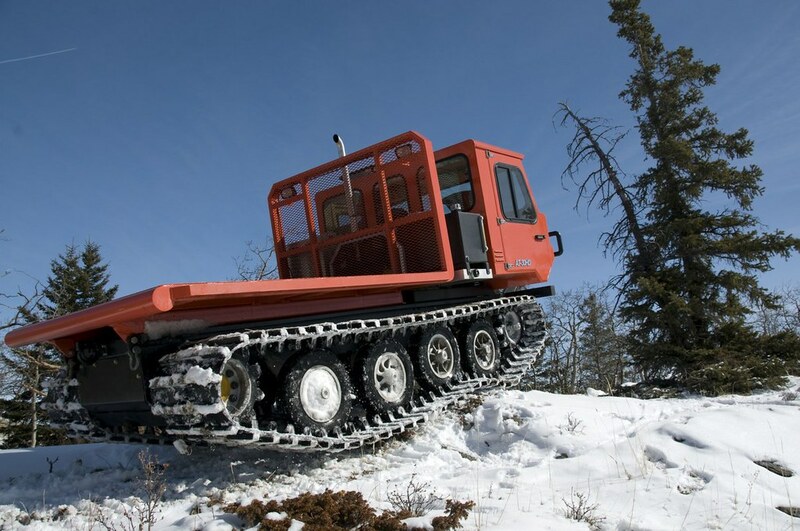 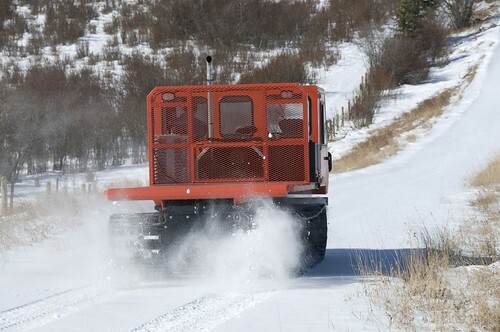 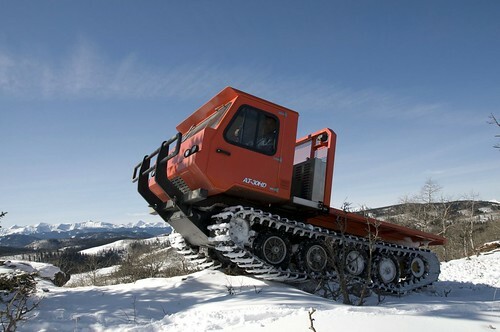 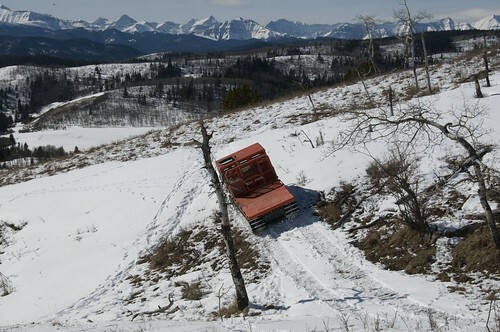 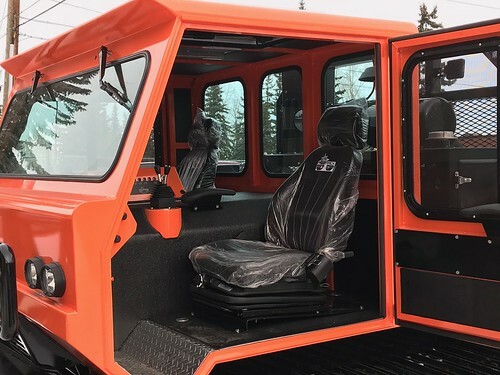 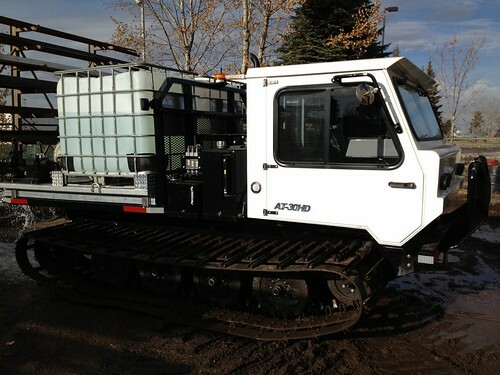 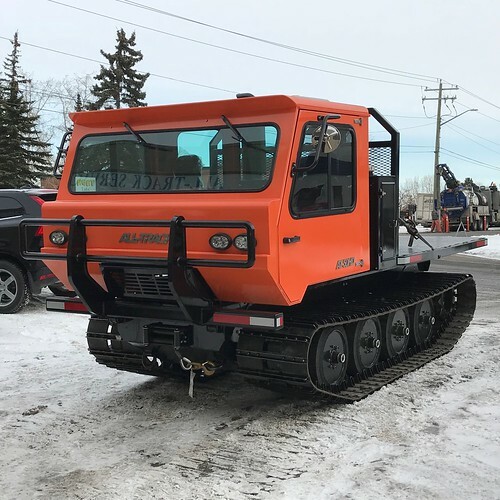 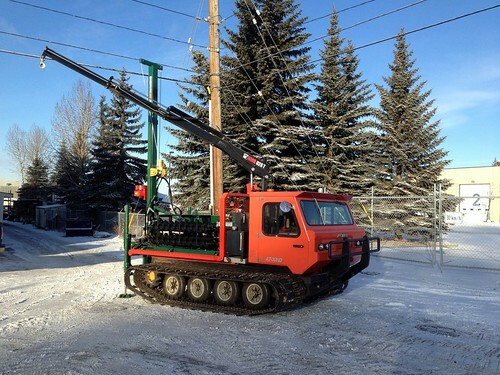 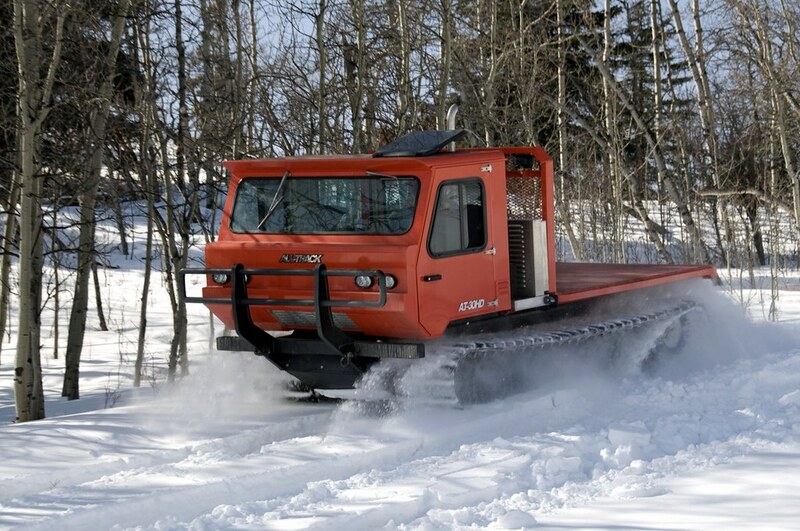 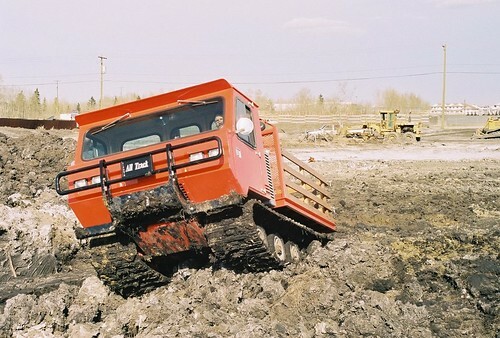 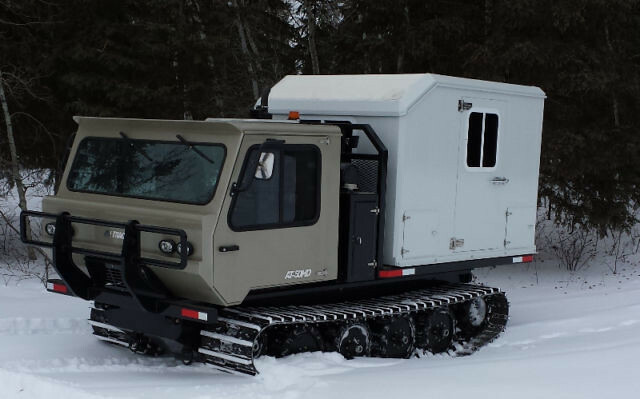 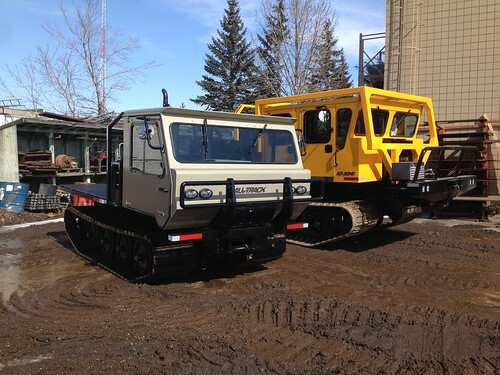 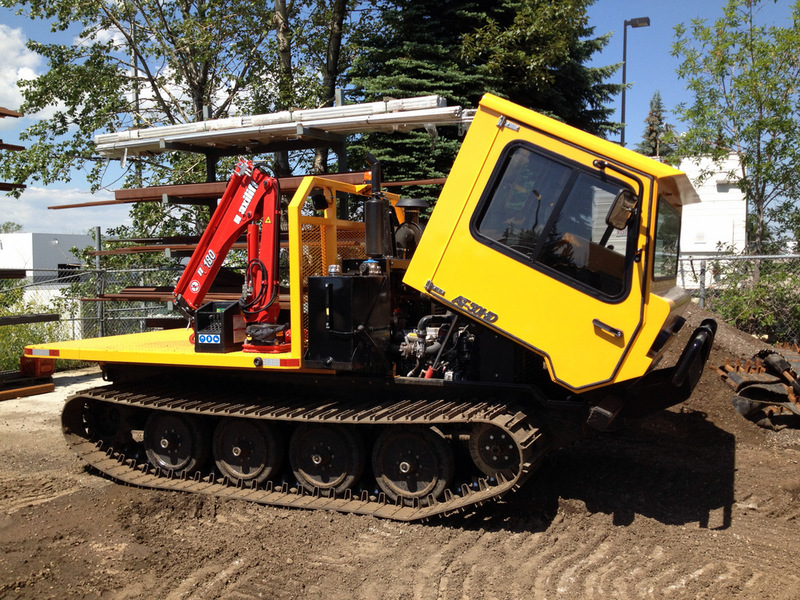 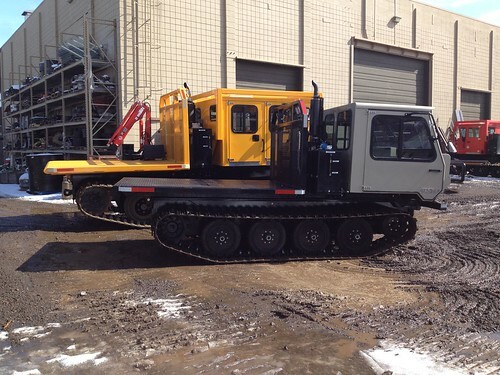 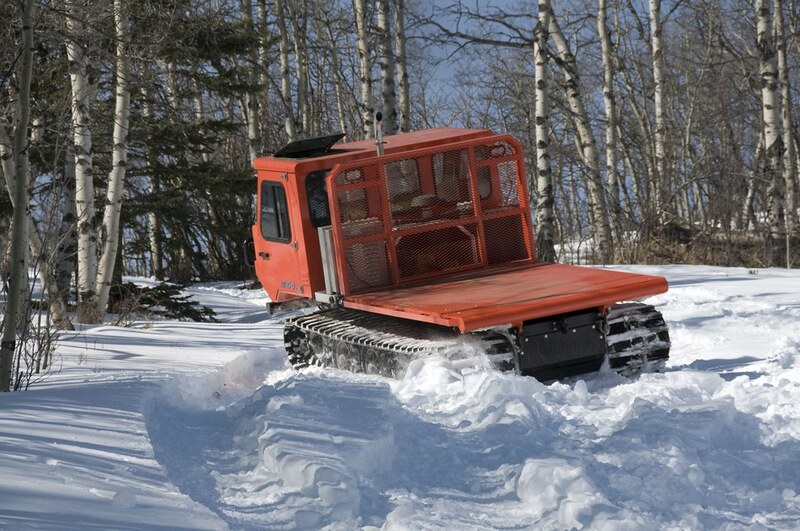 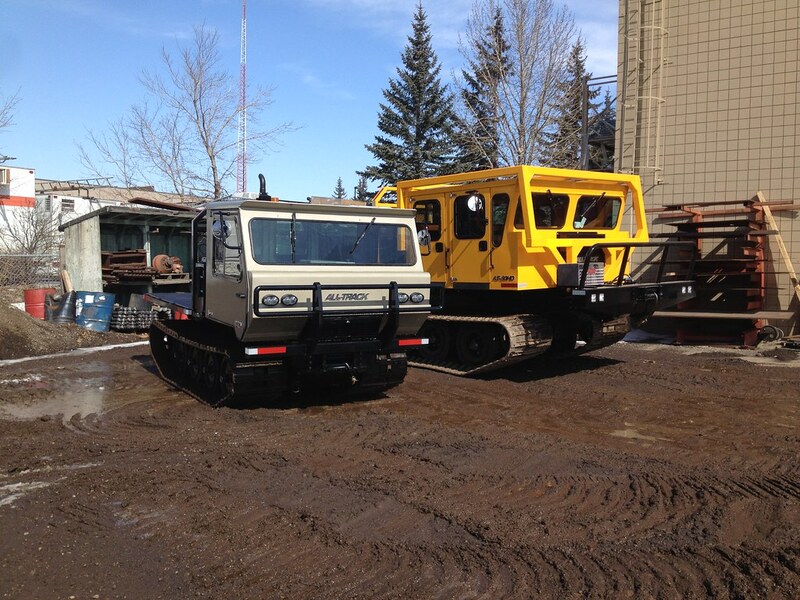 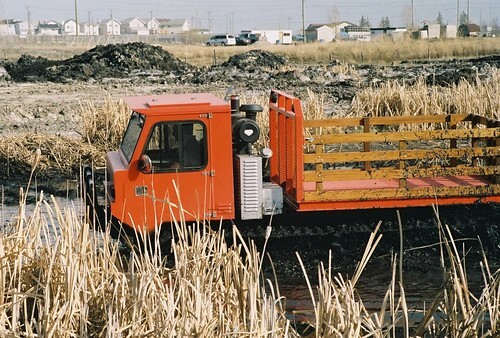 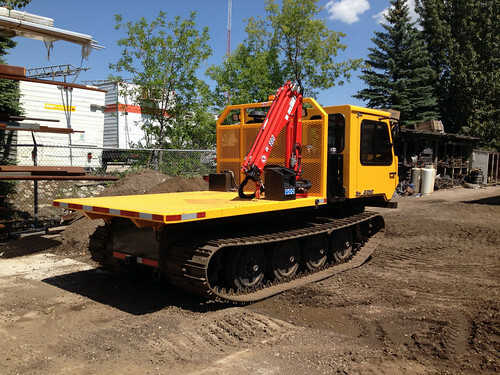 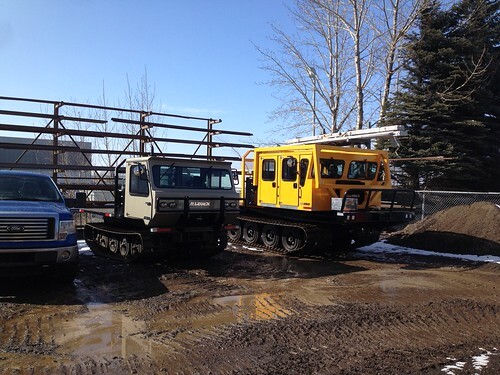 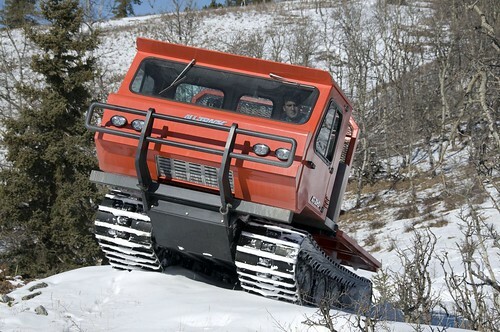 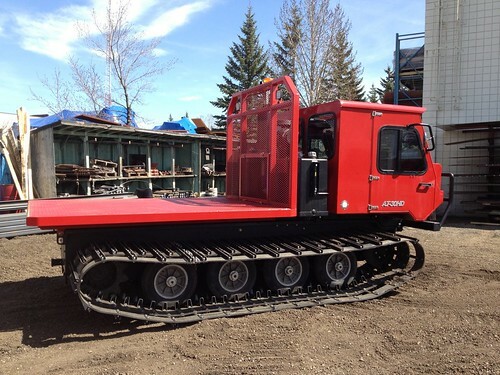 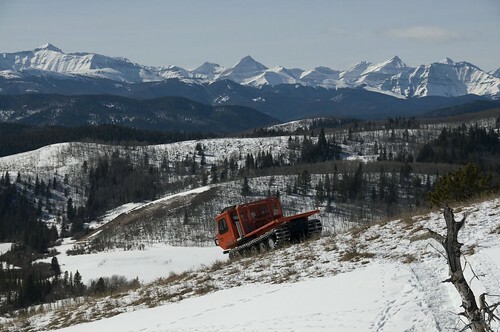 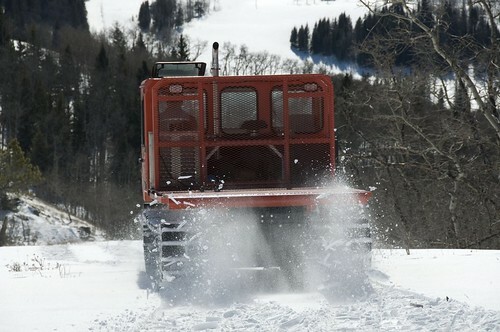 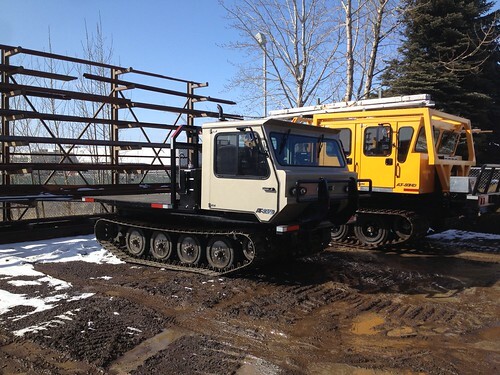 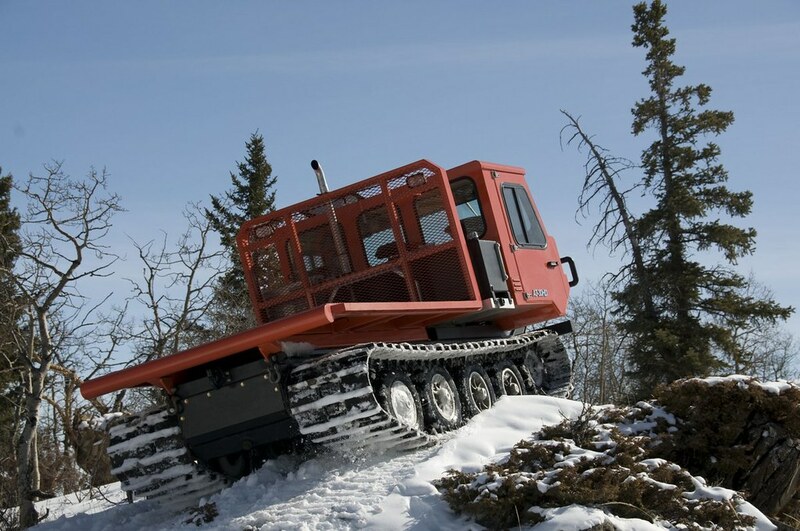 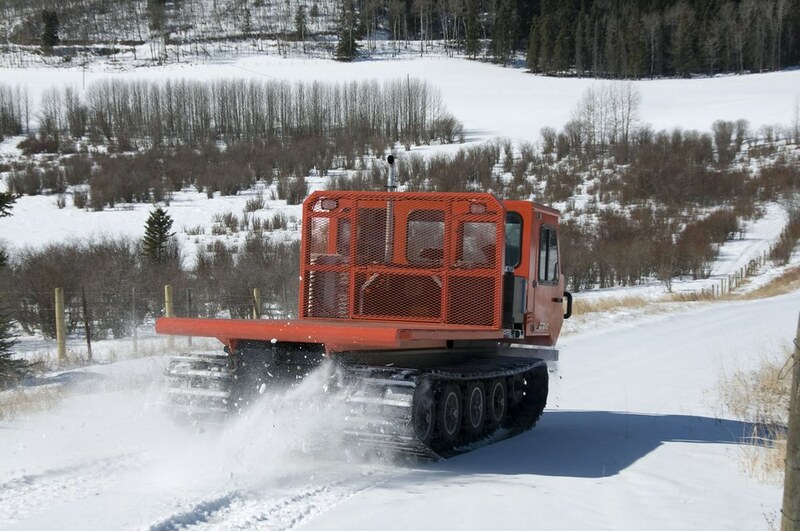 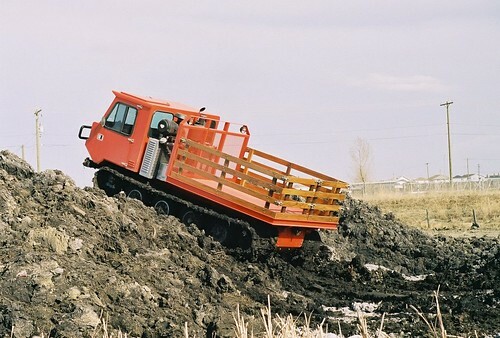 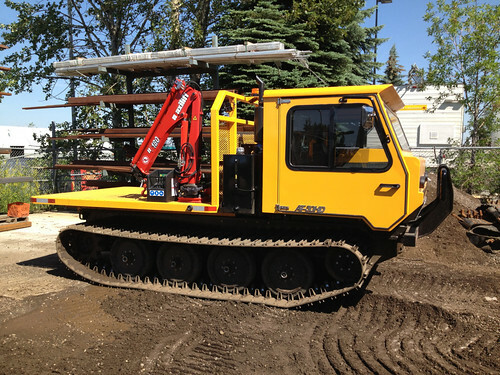 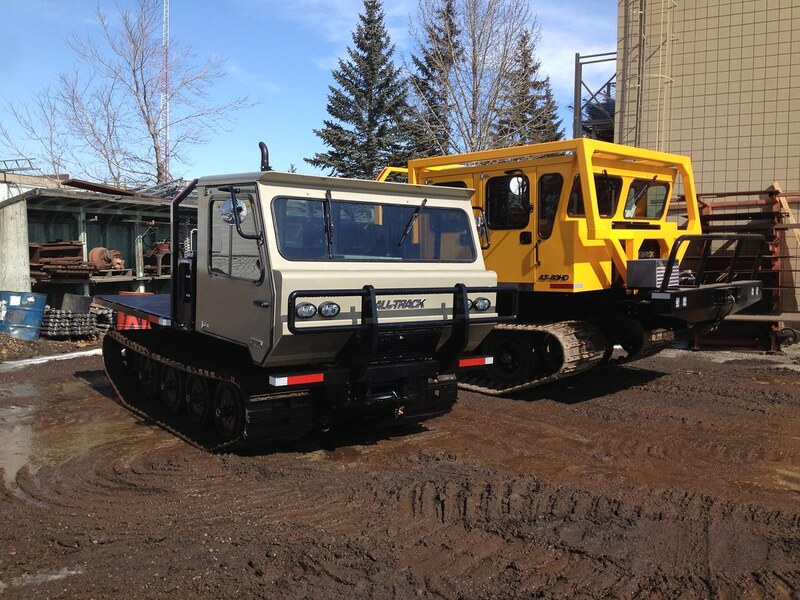 Optional equipment: The AT-50HD can be equipped with Drills, Water Tanks, Methanol Tanks, Fire fighting equipment, Plows, Post Pounders, Picker Cranes, Snow grooming equipment, and virtually any other truck mounted equipment. The AT-50HD's powerful drive and capability to carry a 7,000LB. 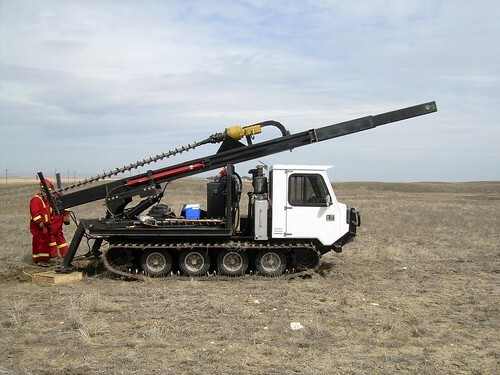 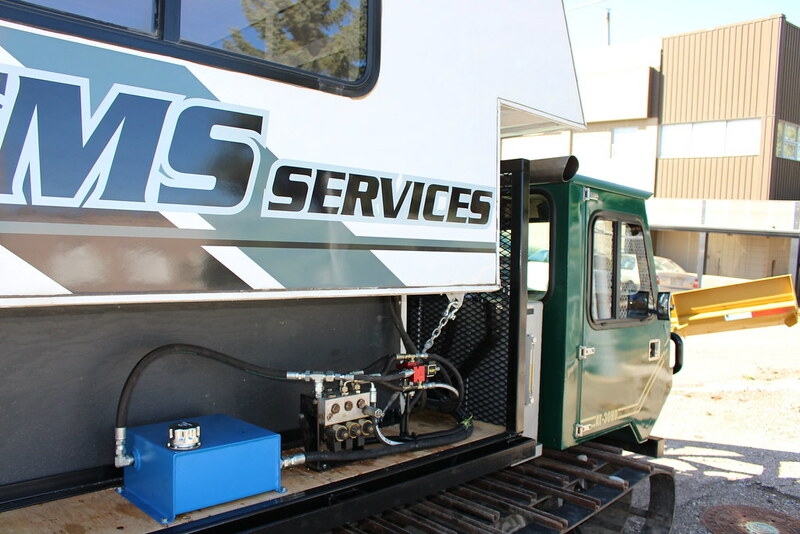 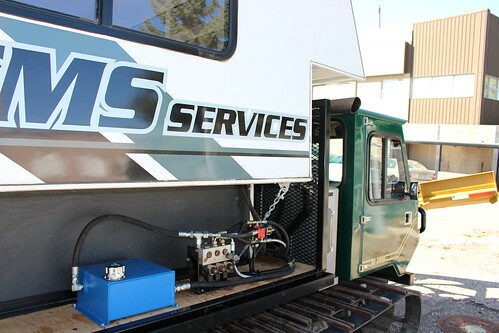 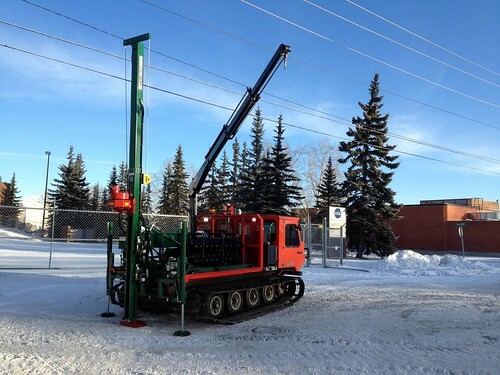 payload make it ideal for Mineral and Oil exploration, Forest Fire fighting, Cell tower service, Pipeline maintenance, Environmental and Geo-technical drilling, Rig Support, and virtually any other industry where extreme mobility is necessary.